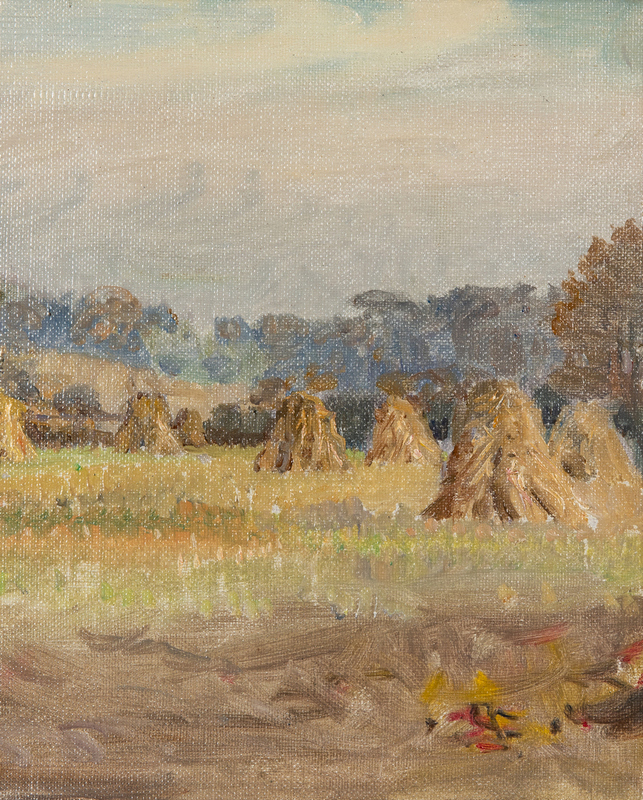 Anna Mary Richards Brewster (American, 1870-1952) oil on canvas landscape depicting haystacks in a field. Signed with monogram "ARB" lower left. 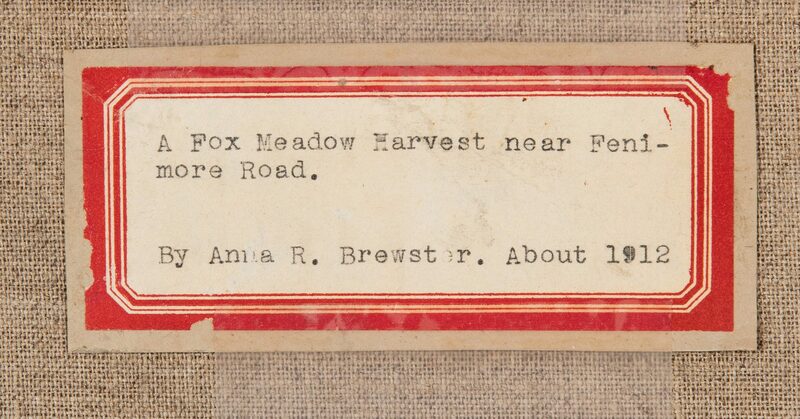 Label en verso reads, "A Fox Meadow Harvest near Fenimore Road. By Anna R. Brewster. About 1912". 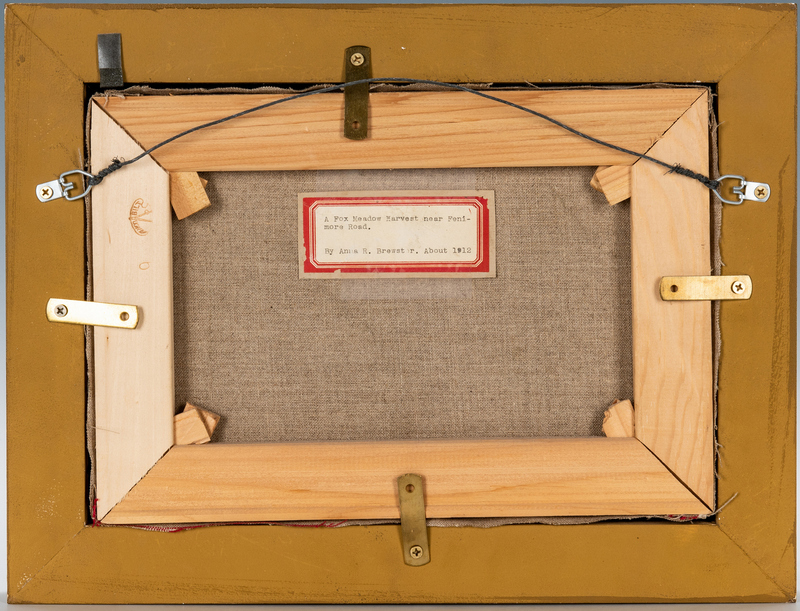 Housed in a molded gilt wood frame. 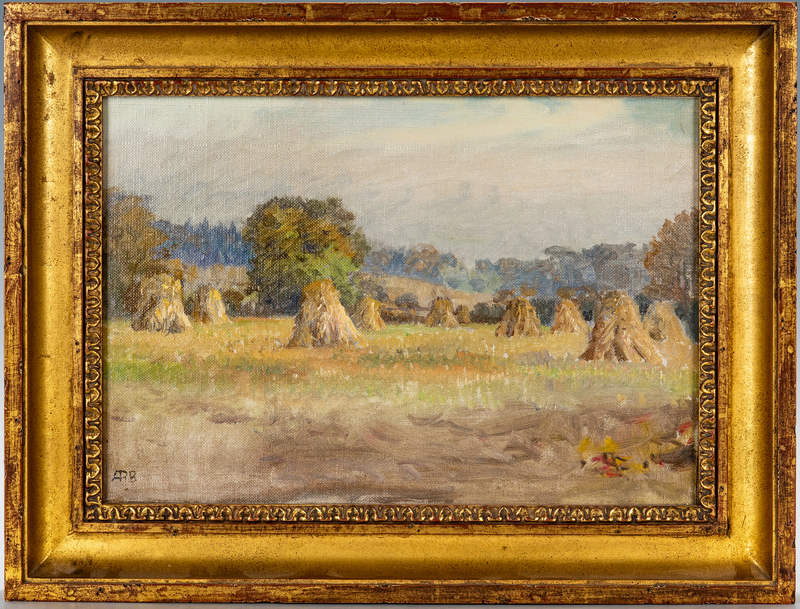 Sight – 8 3/4" H x 12 3/4" W. Framed – 12 1/2" H x 15 1/2" W. Early 20th century. 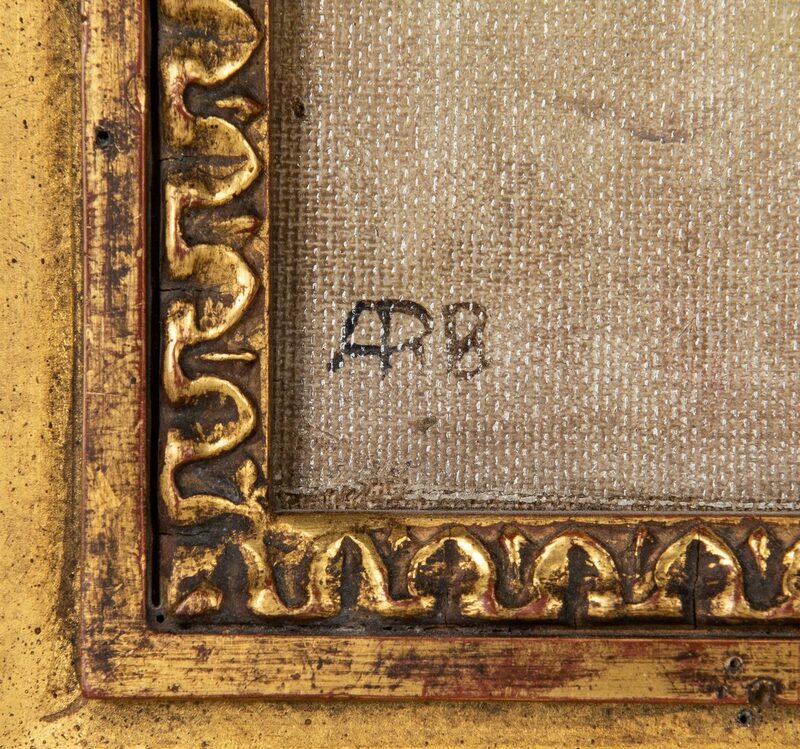 Provenance: the collection of Mr. and Mrs. H.R. Slaymaker, Nashville, Tennessee. 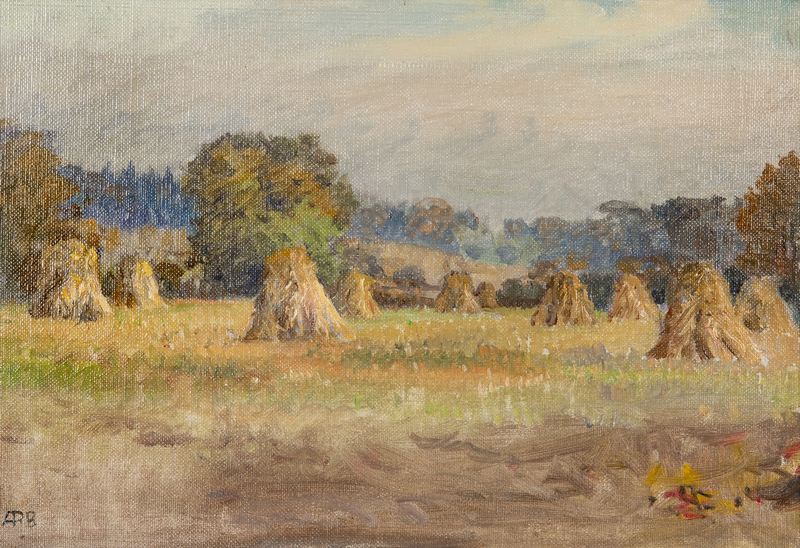 Biography: Anna Brewster was the daughter of noted marine and landscape painter, William Trost Richards, who was her first teacher in painting technique. 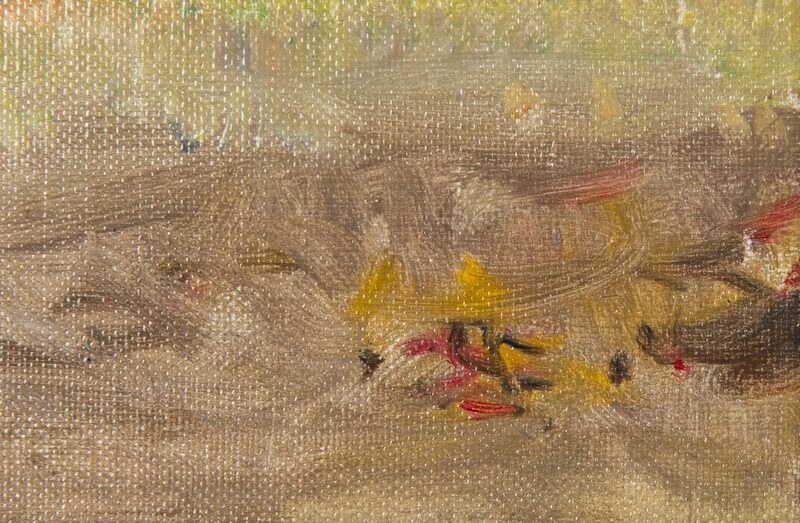 She began exhibiting at the National Academy in New York City at the age of fourteen. 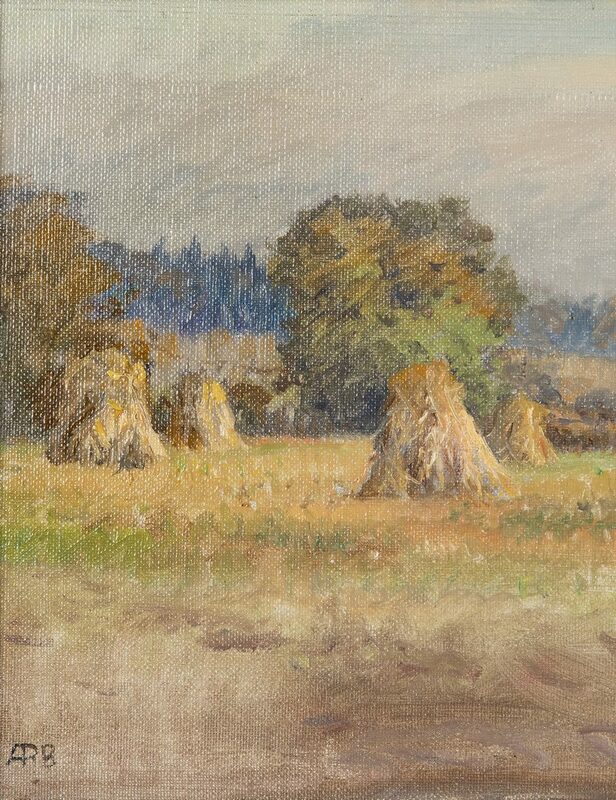 She also studied at the Cowles Art School in Boston, in New York with John LaFarge and William Merritt Chase, and in Paris at the Academy Julian. She married William Tenney Brewster, a professor at Barnard College, and in 1910, the couple settled in Scarsdale, New York, where she founded the Scarsdale Art Association. The couple spent their summers at a family cottage in Matunuck, Rhode Island and traveled together extensively in Europe and North Africa. (source: Askart). CONDITION: Overall excellent condition. Relined.